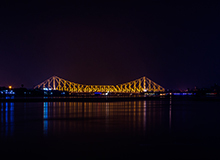 Located in the eastern part of Kolkata, Salt Lake City is a planned township. Being the major IT hub of Kolkata, this place receives a large number of professionals from around the country on a daily basis. As a result, there are hordes of hotels in Salt Lake City that you can pick according to your budget. To save on accommodation, you can book a room at budget hotels in Salt Lake City, including FabHotel Sreemaa Salt Lake, FabHotel Tulip, FabHotel Astoria House, FabHotel Mishra Residency and FabHotel Canny House. You can also go for budget hotels in New Town, a nearby area, such as FabHotel Sreemaa New Town and FabHotel Paradise Inn. 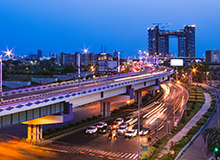 Also called Bidhannagar, Salt Lake City is one of the most-sought after localities in the metropolis owing to its commercial and residential significance. The prominent commercial spaces in Salt Lake City are Technopolis, Millennium City, Midland Park Building, PS Srijan Tech Park, Ecostation, United Salt Bengal Eco Intelligent Park, Delta Park and DLF 1 IT Park. Mass Software Solutions, Dongfang Electric, Kail Ltd., Centrum, CyberSWIFT Infotech, Webel Technology Limited, RS Software India Ltd., Kovair Software Pvt. Ltd., Nexsus Techno Solutions, Codeclouds, Teleminds Infotech Private Limited, Prometric Testing Private Limited, Webskitters Technology Solutions Pvt. Ltd., Techno India Group, IPEG Solutions, Times of India, Haldia Petrochemicals Limited, TCS and Wipro have their offices here. 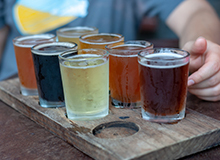 Being a bustling locality, Salt Lake City has numerous restaurants, where you can enjoy everything from Bengali, Mughlai and North Indian to Chinese, Continental and Italian. Only Alibaba, Azad Hind Dhaba, Wow Kolkata, Fly Kouzina, Oudh 1590, 6 Ballygunge Place, Calcutta 64, Bon Appétit – The Café, Terminal 11, Backstage Kolkata, McDonald’s, 10 Downing Street, Rasam Pure Veg South Indian Restaurant, Rock Salon, Kapoor’s and Koshe Kosha are the popular places to eat here. 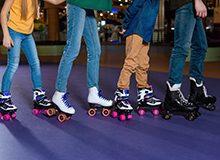 The best shopping destinations in the area are Axis Mall, Mani Square Mall, Metropolitan Bazaar, Purbachal Market, IA Market, Falguni Bazaar, BD Block Market, Baishakhi Market, GD Market, BJ Block Market, EC Market and AE Market. Reaching Salt Lake City is easy with the highly developed public transportation system of Kolkata. You can take buses and taxis to reach the locality or ride Kolkata Metro till Bengal Chemical station. Netaji Subhas Chandra Bose International Airport is 14 km away, while Sealdah Railway Station is 9.3 km from the locality. 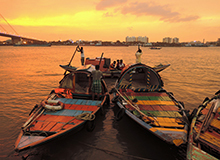 You can take flights and trains from Kolkata to numerous places in India, including Chennai. Among the best pocket-friendly hotels in Chennai are FabHotel Evlewt OMR and FabHotel Colors Apart Santhome. "Its a perfect place for couple guest.check in was smooth.local couple with valid id are always welcome. Room was also good." "Nice hotel, feel like home. staff are good enough and ready to serve 24 hrs." "Nice experience staying ar property. Staff are really helpful... neat and clean rooms and bathroom.."
"First of all m also Hotelier... So being a hotelier... It's awesome." "Have had nice experience with Fan in the past but this one will make me think 10 times before booking with you again . HORRIBLE !!!" "Rooms are good. Breakfast is very nice at house." 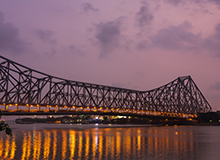 Summers in Kolkata are quite warm and the monsoon wet; therefore, the best time to visit Kolkata is autumn (October-November), winters (December-January) and spring (February-March). Q:Help me to find hotels in Salt Lake City? 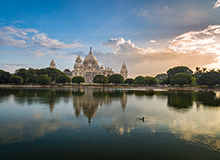 A: Salt Lake City is a major planned residential area in Kolkata with loads of hotels. 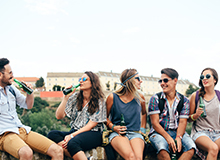 To find hotels in Salt Lake City, you can go to the Let’s Get Started section on our homepage - https://www.fabhotels.com/ - and type the locality name. Being a major commercial and residential area, Salt Lake City has loads of stores. The brands with outlets here include Brand Factory, Nike, Ceat, Pantaloons and Spencer’s. Q:Which are the hotels in Kolkata near to the Kolkata Domestic Airport? 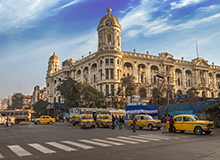 A: Lots of people, who are on a short trip to Kolkata and using flights on their way in and out of the metropolis, prefer to stay near the airport. Among the best hotels in Kolkata near to the Kolkata domestic airport are FabHotel Paradise Inn and FabHotel Astoria House. 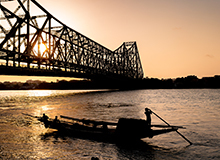 FabHotels offers great deals on online hotel booking for Kolkata. To see amazing discounts, you can go to https://www.fabhotels.com/deals/fab-grab-flat-20-percent-off. Q:What is Bolpur/Santiniketan famous for and how can we travel to Santiniketan from Kolkata? A: Bolpur/Santiniketan is famous for its culture and association with Rabindranath Tagore. You can reach Santiniketan from Kolkata by buses and taxis. Q:Do hotels in Kolkata provide support to differently abled individuals/provide wheelchairs? A: We, at FabHotels, work endlessly to ensure guests do not face any inconvenience. To request wheelchair or special assistance to the differently abled, you can get in touch with our round-the-clock Customer Care at +91 70 4242 4242.